The changing trends in technology have bought in the need to go with the flow. The latest devices that are launched are always monitored in this innovative world. One of the most popular devices that have taken over the market is the smartphones and tablets. With the growing need, computer manufactures are in the continuous process of coming out with the best tablets and laptops that could conquer the market. Regardless of the fact that the tablets are more convenient and portable than desktop and laptops, the weight is sometimes more due to the requirement of graphics, hard drive space and processor. If you are using the old convertible tablet PC’s there is a need to use a stylus and the touch screen is moreover outdated. 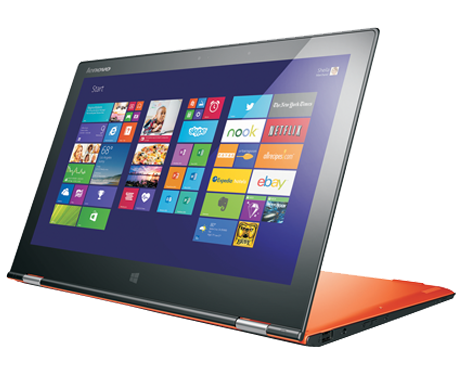 This brings in the need the use of convertible laptops which have finger touch screen facility. The best technology in tablet is seen in the Apple iPad. Its touch screen facility is out of this world. It is sad to notice that convertible tablet PC’s manufactures have not been able to bring up their standard compared to it. There is a limited use where it can perform jobs like internet surfing, games and small tasks. But it has been noticed with the launch of Dell Inspiron Duo there has been a change in the trend. Many people are realizing the need to switch on to the tablet laptops instead of the old devices. Right from students to professionals is turning towards the use of tablet laptops for their day to day task and business. You can check some of the best laptop for $800 that are now available online at a great discounted price. They come in different styles and designs that suit the user. If you are on a look out for the latest technology accompanied by multi-tasking abilities the right choice would be the Convertible Tablet PC or a tablet laptop. It may not be as sleek as an Apple iPad but the benefits you will draw from it will surely give you the outcome which will help you get your job done.